Well turn my bsd on today and coils started firing then they stopped. So i started a game and opto sw that control coil wont kick out ball. Ive checked fuses and wire conection. I did notice board under playfield that opto plug into has no red led to show power. 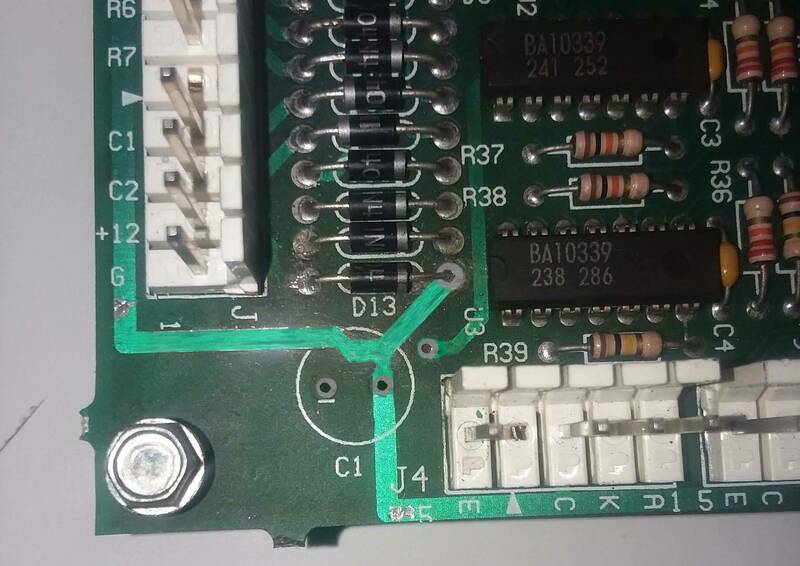 J118 sends power to board but not sure what sends power to j118 section of board. Thanks. 12v fuse may have blown. Did you recently add anything to the 12v line like a color dmd or other mods? No added nothing. Just. Turned it on and acting weird. What fuse is that? 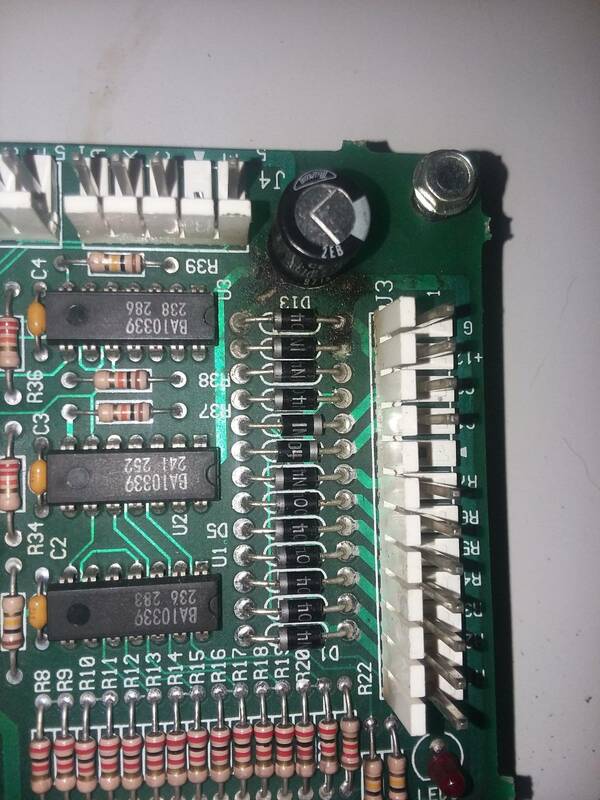 I pulled 10 opto board and it smelled burnt. This is what it looks like. 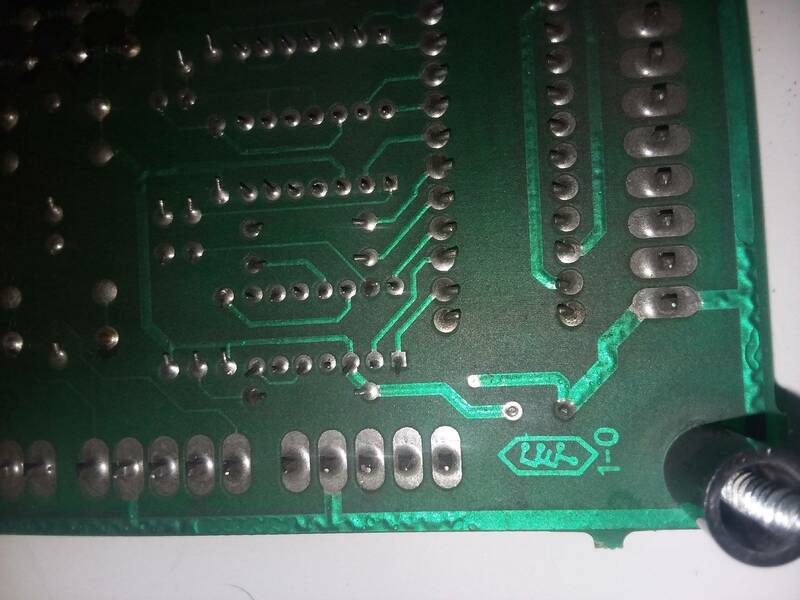 I was going to post check for puking caps on the opto boards... so make that 3rd as that is what happened to mine. The electrolyte looks like it may have just opened up the 12v trace by rotting it out. 12v comes in the connector on right. Goes through the top diode and then that 100uF cap. So should i just replace cap and clean traces or buy new? depends on your soldering tools and skills and want to screw with it. It doesnt look ruined to me. Pull the cap off and top two diodes. Scrape off all the crud (carefully electrolyte is probably nasty stuff). Wash with a solvent (maybe before scraping or in the middle of). Inspect for broken / rotted out copper and patch accordingly. I think its just going to be a busted trace around the the cap. 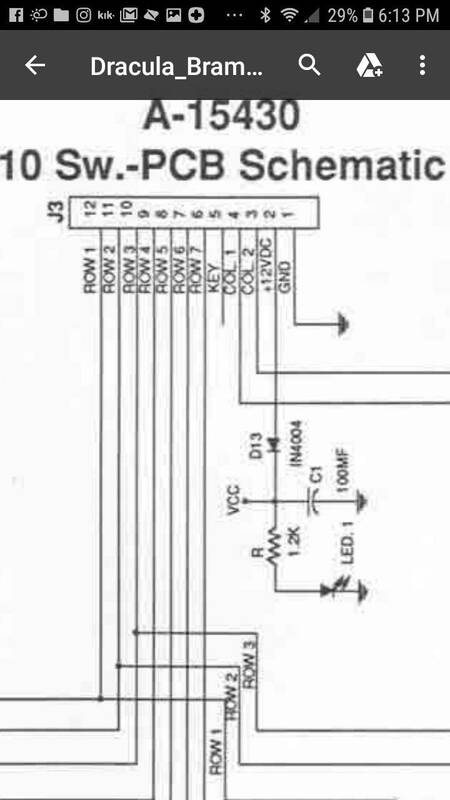 sepcially if the LED on the opto board is out and the 12v opto fuse is not blown. 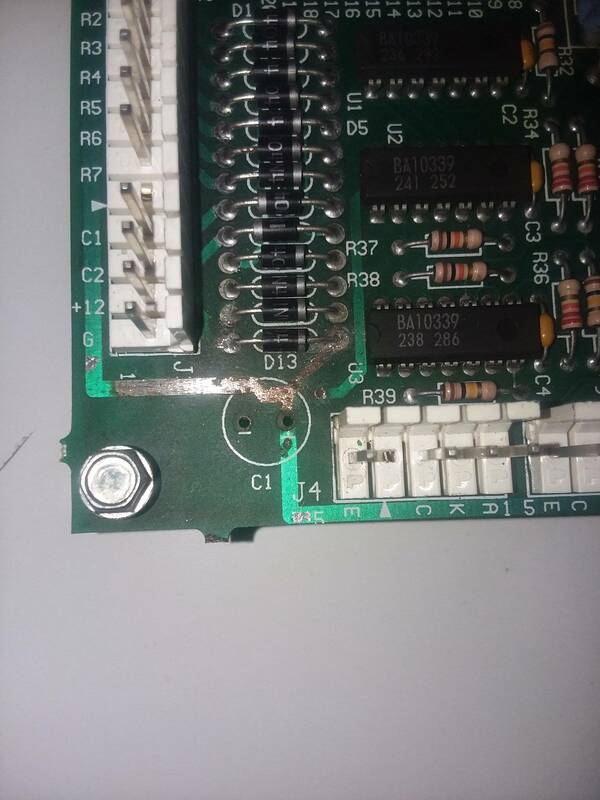 Oh.... if the cap puked on this opto board I wouldnt trust the caps on any of the other opto boards. specially if they share the same cap brand/value. Ok i will order new cap and clean it up now should i just use same value or differant value cap. Ita a 35v 100ufd. A higher voltage one is fine but make sure it's 100ufd. Thanks bro's will keep you posted when i get it repaired. Yea, that looks way better than mine did. Mine lifted all the traces and everything. Ha when mine went the whole undercab was full of smoke, I thought it was gonna start on fire! Good luck! Damn thats crazy. I hope its just the cap. So still waiting on cap to come in, but i was looking a circuit board. Just wondering if on top side is the banded side of D13 supposed to go to pos to c1. banded side of D13 supposed to go to pos to c1. Good news got my dracula working again. All opto working great. New 100uf cap fixed it. Thanks guys.